Spartans were impressive winners over Cumbernauld Colts (in yellow) at Broadwood in September. Cumbernauld Colts head for Spartans on league business on Saturday in the first of a testing double header against the Edinburgh club. The sides meet this Saturday in the Lowland League before Colts return to Ainslie Park next Saturday for a South Challenge Cup third round tie. 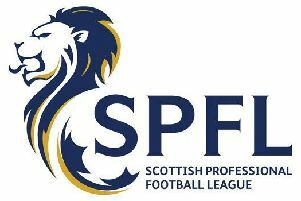 Spartans were convincing 4-0 winners when they visited Broadwood in September - and Colts co-manager Craig McKinlay admitted their performance was as impressive a display as his side have come up against in their debut Lowland League season. He said: “It was a particularly good night for them and a particularly poor night as far as we were concerned, but certainly - with the possible exeception of Stirling Albion whom we played in the cup - they are the best side we’ve faced. “I am a little surprised their results haven’t borne that out and I thought they would have accumulated more points. Spartans moved into second place in the table last week with a win away to Scottish Cup shock troops East Kilbride, pushing Colts down to fourth. The Broadwood side have lost one of the stalwarts of the campaign so far after ’keeper Sam George was recalled by his parent club Queen’s Park. However Colts moved quickly to secure the services of Chris Fahey from Ayrshire junior side Kilbirne Ladeside until the end of the season. The 37-year-old has senior experience with a number of clubs, including Stenhousemuir, Raith Rovers, Albion Rovers and Stranraer. McKinlay said: “Sam has been absolutely terrific for us and it’s obvuously a disappointment to lose him. “But that’s the nature of these loan deals and he goes back to Queen’s Park with our best wishes. “We’re delighted to have brought in Chris - he has vast experienced and is a good organiser.